Zero has been produced on a budget of Rs 200 crore. Everyone is waiting with bated breath for the release of romantic movie Zero starring Shah Rukh Khan, Anushka Sharma and Katrina Kaif. There have been a number of polls conducted on whether it will do better than other movies that have been released, and it appears the movie, directed by Aanand L Rai, could be doing good business on the first day of its release, which is December 21. 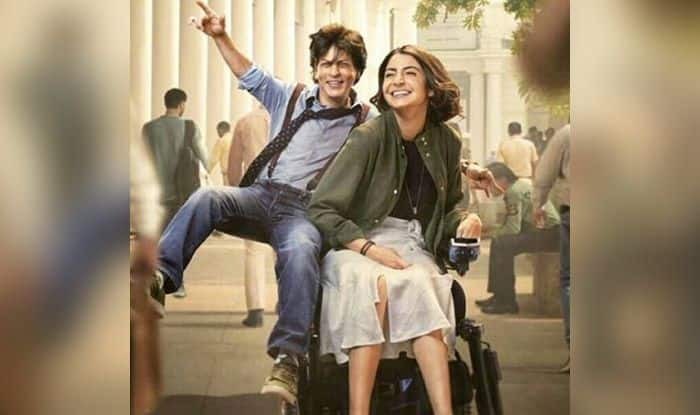 Film trade analyst Girish Johar had tweeted that Zero has been making the right kind of noise, and that it will make a flying start at the box office. The movie is expected to earn around Rs 25 crore on the first day itself. According to The Indian Express, Girish had said that from the trailer to the songs, everything was so well presented that it has created quite a buzz. “Zero is making the right amount of noise among cinephiles. It is being waited with bated breath and looks positive. From trailer to the songs, all have been promoted well and there has been a fantastic pre-release buzz. Being a non-holiday Friday, the film is expected to earn something between Rs 25-27 crore. Clocking around 3500 screens, everything is going well for SRK. His character Bauaa Singh has become a household name because of a well-crafted promotion strategy,” Girish was quoted as saying. Shah Rukh has not been having much luck where his latest movies are concerned, with his last, Jab Harry Met Sejal (2017), not performing well at the box office and suffering a huge financial loss. When asked what Zero can bank on for pulling in the audience, Girish put it up to director Aanand L Rai. “Filmmaker Aanand L Rai will act as an important factor in pulling people to the theaters to watch Zero. He is a fantastic director who has a knack of connecting with his audience. He is known for convincing the audience with his story and characters. Now, if he has played the emotional card right just like Rajkummar Hirani and succeeds in convincing people of Shah Rukh’s dwarfism, then there is no stopping Zero at the box office,” Girish said. Zero has been produced on a budget of Rs 200 crore and is said to be Shah Rukh’s most expensive film. The movie also marks the last screen appearance of actress Sridevi, who died shortly after filming completed.